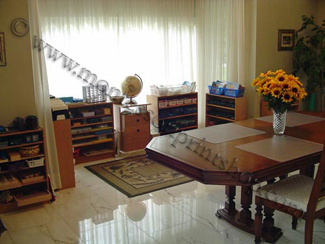 Jennifer from Montessori Printshop shared how she took advantage of the space she had available by creating a Montessori schoolroom in her dining room. She says, In our early homeschool adventure I turned our dining room in to a Montessori environment. It was not ideal, but I made the best of the space we had, using some 'real' Montessori materials and lots of substitutions. 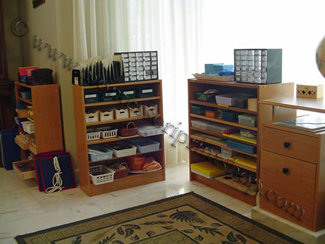 You can learn more about creating a Montessori classroom on a budget by reading, Montessori at Home.